The Tardis team find themselves heading to Kamelion’s home planet, where his people are thought to be all gone. As we find out about the battle for the planet so many years ago, the Locus that contains a worlds worth of minds and the truth about Kamelion the Master did not tell, the Doctor and friends are faced with the reality that even when he wears his own face, they may not know Kamelion at all. I have loved this dip into such an under explored character in the original Doctor Who timeline. Culshaw is brilliant as both Kamelion and the others of his race we meet. They manage to put in extra facts about Kamelion whilst staying very true to the original version. Janet Fielding is as much of a firebrand as ever as Tegan and I quite love when she is pushed to being nice to Turlough as the devil she feels she knows or at least one who is humanoid and not a robot. Peter Davison is as always great at playing the Space diplomat who is even upset at the universe when it isn’t quite cricket. 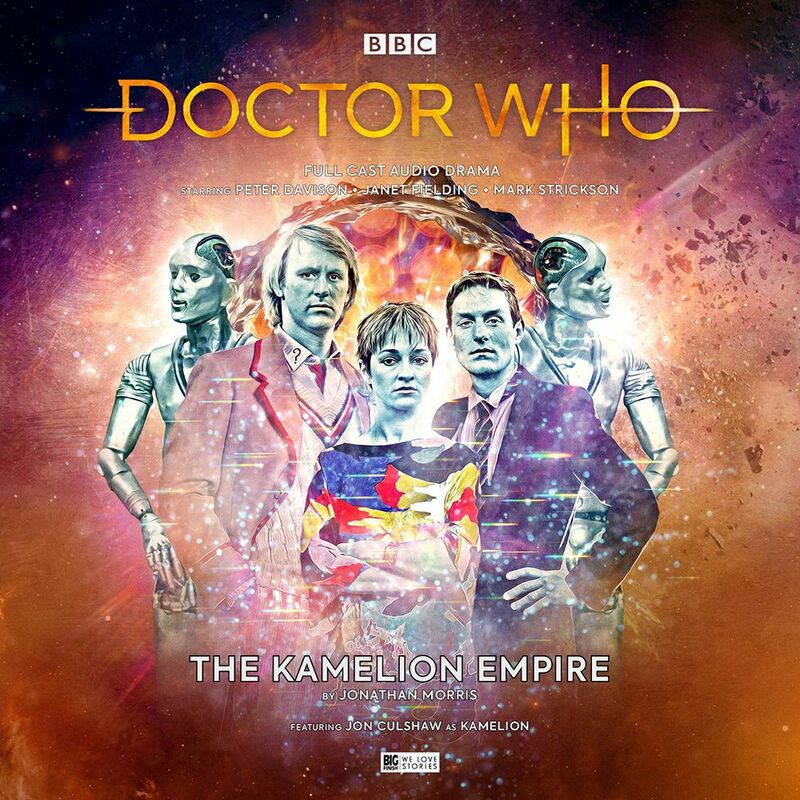 Jonathan Morris has come up with a fantastic story that as well as all this also gives a nice explanation for how little Kamelion is used in a lot of further episodes and we even end the story in a very familiar, fan pleasing location. Also expertly directed by Ken Bentley. The score which really takes you back to the 80s and the feel of 5th Doctor era makes this a story that feels of the time of the show in which it is set; even if they could never afford the budget at the time to tell this tale. It seems to wrap things up for now, but I for one hope they find a way of bringing Kamelion back in some future stories and if they can make me wish for that, they must have done an amazing job. 10/10.